eCPD Webinars is offering two webinars entitled “Know your EU law 1: the Law-Making Process in the EU” and “Know your EU law 2: Work Smarter not Harder” on 6 and 8 December 2016 respectively. Each one will last for approximately one hour. Andrew Leigh (LLB, MA, MITI) is a legal translator from French, Spanish, Italian and Portuguese into English. He has worked in the translation industry for over 15 years and runs his own company, Allegro Legal Translations, specialising in legal, business and commercial translations. In addition to his language and translation qualifications, Andrew holds a degree in law from Sheffield Hallam University in his home city. He has written a number of articles, presented webinars and run workshops on translation business and law-related themes, most recently a highly successful dual French/English litigation workshop for the Institute of Translation and Interpreting. 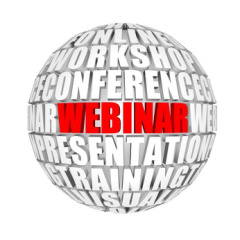 To find out more about these webinars and to register, click here and here.